You got some fantastic shots of the supermoon! The moon looked so much smaller in my country compared to others. The last photo is really beautiful! I too have taken some pictures but they don't look as good as yours! I'm glad you were able to enjoy the Super Moon. You got some wonderful photos. It really is beautiful, Jeevan. 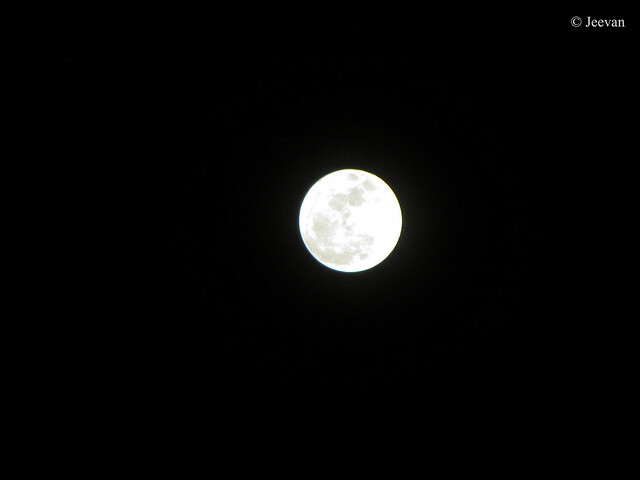 super shots of super moon! I loved the last one ! Your last shot is better than any that I was able to take. My son took a nice shot with his iPhone but I couldn't pull it off.